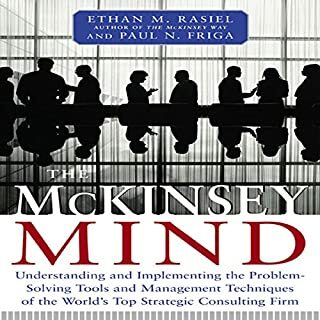 In this hands-on successor to the popular book The Trusted Advisor, you'll find answers to pervasive questions about trust and leadership - such as how to develop business with trust, nurture trust-based relationships, build and run a trustworthy organization, and develop your trust skill set. This pragmatic workbook delivers everyday tools, exercises, resources, and actionable to-do lists for the wide range of situations a trusted advisor inevitably encounters. In recent years, professional services providers have had to rethink their sales methods and adapt to profound changes in the way clients buy services. In response, Winning the Professional Services Sale argues for fundamental changes in the seller's mindset and sales strategies. In today's fast-paced networked economy, professionals must work harder than ever to maintain and improve their business skills and knowledge. But technical mastery of your discipline is not enough, assert world-renowned professional advisors David H. Maister, Charles H. Green, and Robert M. Galford. The key to professional success, they argue, is the ability to earn the trust and confidence of clients. The creation of trust is what earns the right to influence clients; trust is also at the root of client satisfaction and loyalty. The workings of trust are even more critical in the new economy than in the old. 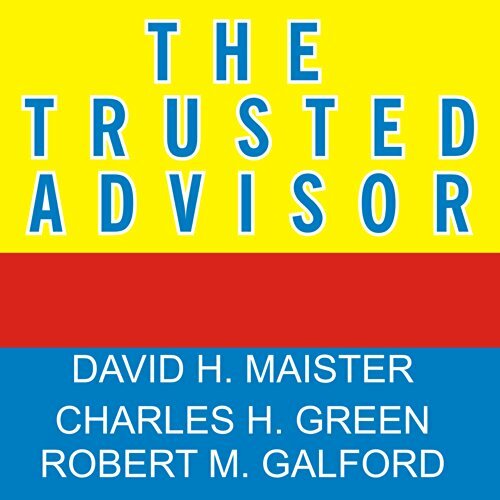 Maister, Green, and Galford enrich our understanding of trust---yet they have also written a deeply practical book. Using their model of the "Trust Equation," they dissect the rational and emotional components of trustworthiness. With precision and clarity, they detail five distinct steps you must take to create a trust-based relationship. Each step---engage, listen, frame, envision, and commit---is richly described in distinct chapters. The book is peppered with pragmatic "top ten" lists aimed at improving advisors' effectiveness that can be put to use instantly. This book will be welcomed by the inexperienced advisor and the most seasoned expert alike. The authors use anecdotes, experiences, and examples---successes and mistakes, their own and others'---to great effect. 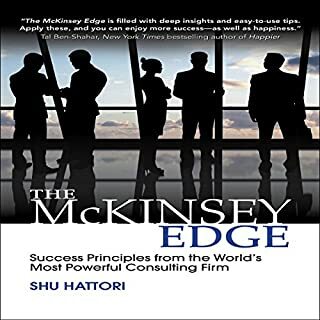 Though they use the professional services advisor/client paradigm throughout the book, their prescriptions have resonance for other trust-reliant situations---selling, customer relationship management, and internal staff functions like HR and information technology. The result is a tour de force---brilliant, penetrating, unique. 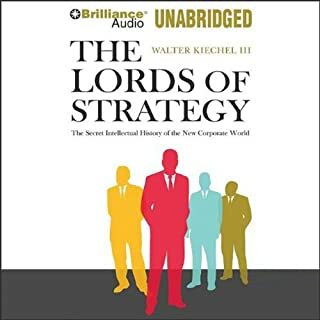 It is essential listening for anyone who must advise, negotiate, or manage complex relationships with others. but at times too focused specifically on the world of consulting. Some chapters could have been a bit shorter. 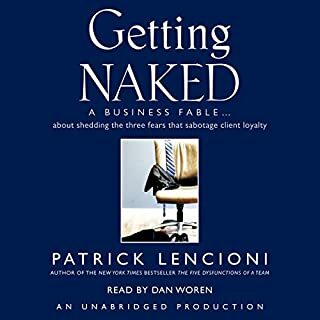 This book basically says you should work 24 by 7 and do anything to serve clients. It even suggests providing a lot of services for free. It's a recipe for burnout. I would highly recommend this book to anyone that is focused on a diverse client facing role. This content if adapted and employed in your daily work will have a significant impact on your client relations and the numerous benefits of taking those relationships to the next level. To quote the authors, "reputation before revenue". Lots of great practical information as well as deeper/theoretical. Should be something here for anyone in a professional services/ consulting field. This book is three times longer than it needs to be in. I found it extremely difficult to read. Way too many “lists”, as they include 2 in the beginning of the book. Also, way too many hypothetical stories… One after another… Making it easy to not even know what printable they are talking about. There were some points scattered throughout the book. So it was not a complete waste. Extremely wordy....like they had a word count quota that needed to be met in order to get published. All in all, I would not recommend this book. There are thoughts in this book you need to hear if you are a professional service advisor. I'll reflect on my approach to client engagements. This book is the most useless professional reading I've come across. The insight provided is mostly common sense and the 15+ concept lists are ineffective in providing any information that could realistically be retained and applied in real life. Don't waste your time or money. There was some really good wisdom. However, there were way too many frameworks than could be responsibly presented in any one book, let alone an audiobook. I found myself lost more often than I found myself enjoying it. The book shares a lot of insights into the realm of the trusted advisor. This means a lot of practical tips, lists and explicit ways to formulate your words thoughtfully. Herein lies the hard part though: as the concept of becoming a trusted advisor is simple, act as one. Doing so is a lot of work! The book helps but is fairly overwhelming in the information it gives you in my opinion. I'll have to read it more than just once to even begin grasping its contents, but I'm convinced its worth to do so. The content is really great but I found the presentation not very engaging. It felt like it plodded along in places. this book has some good stories and great advice. Sensible review of how to manage a professional adviser's relationships. Obviously based on experience. Some good frameworks and checklists. If you've absolutely no idea of how to get to your customer, or client, and win their trust, this might help you. For me, I've consulted for a number of years, and this wasn't anything I hadn't already worked out. Has The Trusted Advisor put you off other books in this genre? What didn’t you like about Kent Cassella’s performance? The Performance was fine, but a little flat. It has one or two decent ideas in it, its not a wash out. Look, it didn't teach me much I didn't already know, but that's not a failing of the book, just my selection. Try it, it might be good for you. As a chartered accoutant, I find this book extremly helpful to my daily contact with clients. The problems the authors are trying to solve are the ones I encourterd every day. I find the suggestions applicable to my situation and I've already used some of them in practice and received positive feedback from both colleagues and clients. Good good advice from a friend. Like many similar works, the Maister and Co take a few simple, common sense themes and expand them into a fully blown philosophy. Like most things done well by experts; it all seems so simple, which it is, once you've read the book:- simple to understand, hard to do and (I bet) even harder to think of in the first place. An excellent book ,well written, easy to understand and inspiring, what more could you ask for? As a financial advisor ive been looking a book which can provide insight into the skills and attributes required in building client relationships which deliver true value to both client and advisor. 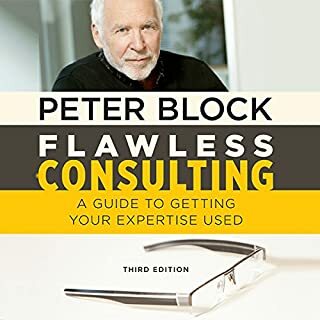 I recommend this as a must read for anyone in an advisory role for whom the fundamentals of trust and honesty and providing excellence in your capacity as a trusted advisor is key to your philosophy and business ethic. 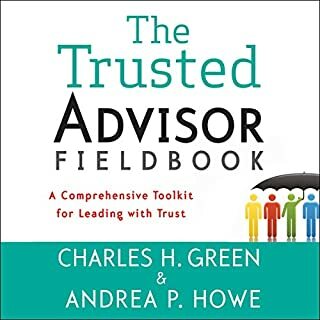 It looks into the aspects of building trust and how this is acheived and lost, provides perspective from both the client and advisor viewpoints. Most books ive come accross are driven from a sales perspective - 'how to close a deal' 'selling skills and techniques' etc, these are ok if your only concern is to make a sale and move on to the next one... however if you do beleive that building and growing relationships with your clients is the path to long term success and professional satisfaction then i recommend this one to you. Enjoy.